“Construction is a very big market for us because of the logistical difficulties faced on project sites,” says Thair Al Fararjeh, General Manager for Enviro Cooling Systems. “We are currently working on a joint project to develop a smart caravan offering workers the complete off-grid solution for all electronics, we will cover the AC solution in this case.” Aside from off-grid air conditioning solutions, the company will showcase mixed-grid units at The Big 5 Solar that will generate zero cost during daylight, only using power in the evening. "We recently launched a new product: RAYGO150. It’s a portable solar home system with Pay as You Go feature that offers clean DC power to recharge phones and DC small devices," says Antonio Capua, Business Development and Sales Director at Enerray. Exhibitor NeOn Energy also look forward to providing solar solutions for the urban sector with their compact modules. 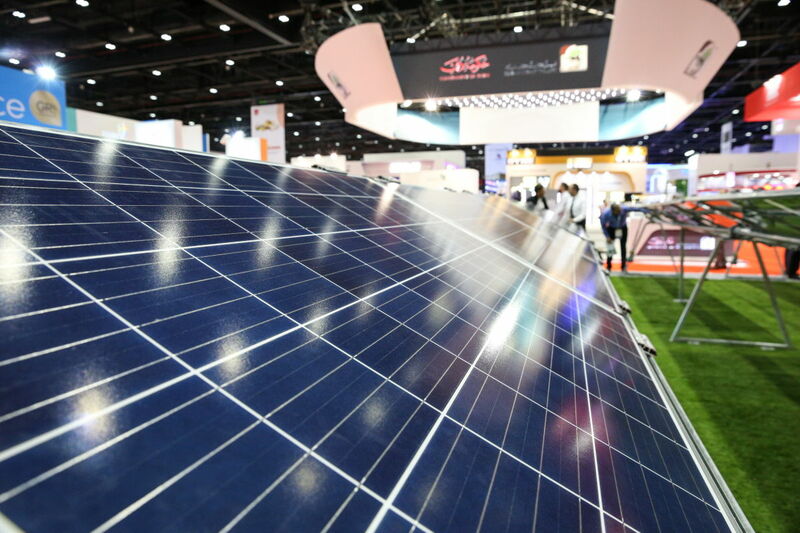 “Space saving properties are unique to our photovoltaic and thermal combined (PVT) module, making them ideal for residential and commercial applications,” says Mr Sanjayan Marat, Executive Director MENA region for NeOn Energy. On 27th November 2018, Belén Gallego will sit with over 25 high-profile regional and international speakers at the Global Solar Leaders’ Summit. Speakers will include H.E. Dr. Matar Al Neyadi, Undersecretary at Ministry of Energy (UAE), H.E. Dr. Nasser Saidi, Chairman for Clean Energy Business Council (MENA), Turki Al Shehri, Head of Renewable Energy Project Development Office at Ministry Of Energy, Industry & Mineral Resources, (Saudi Arabia), and Rabia Ferroukhi, Head of Policy Unit And Deputy Director of Knowledge, Policy And Finance at International Renewable Energy Agency, Paddy Padmanathan, CEO for Acwa Power (Saudi Arabia), and more. The Big 5 Solar returns with existing support from leading associations including the Middle East Solar Industry Association (MESIA) and Clean Energy Business Council (CEBC), and welcomes fresh backing from industry heavyweights: GCC Association for Renewable Energy and Sustainability - Green Gulf, Architectural Solar Association – ASA, BPVA – British Photovoltaic Association, Solar GCC Alliance, Jinko Solar, Campion, S5, We Link Group, Sumec, Noor Solar, Sunew, Verditek, Heliatek, Enviro-Smart, NeOn Energy, and Enerray.